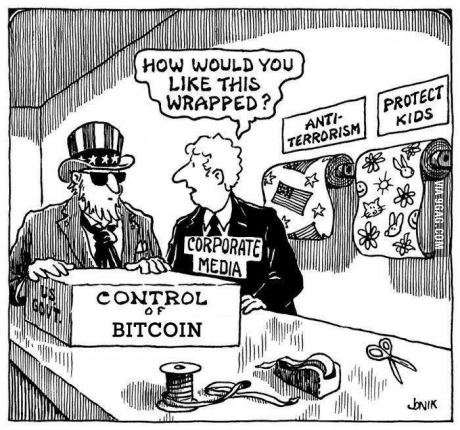 Conversely, the U.S. Treasury Financial Crimes Enforcement Network or “FinCEN,” says that although bitcoin is not legal tender, bitcoin exchangers are money transmitters, thus subject to the Bank Secrecy Act, which was first passed in 1970 before the internet existed, and a global digital currency was decades into the future. Unlike a traditional money transmitter like PayPal or Western Union WU -0.67%, transmitting bitcoin is a two-party transaction that doesn’t require an intermediary. The money service regulations bitcoin exchanges must comply with, even though the IRS doesn’t recognize bitcoin as “money,” are not practical and are contributing to the closing of dozens of exchanges. maj 14, 2014 i Bitcoin nytt, Svenska. Topp fem lärdomar från bitcoin: Skulle ni sluta köra bil för att en bro rasar??? ← BTCX SL-Dogecard is BACK!